$2638 raised so far with party profits!. Help us raise more money for Evergreen Centre for Street Involved Youth by donating above your ticket price! Raising $4000 will allow the employment of four youth at Jubilee Design. Read more about this charity below. You may donate on our website or on YSM’s website if you need a tax receipt (below). If using a credit card, you DO NOT need a PayPal account to donate. If PayPal is not letting you pay without logging in it’s because you have an existing PayPal account, please use a different email address or retrieve your password. If you do not have a credit card, Paypal can also be linked directly to your bank account. Donate online through the Yonge Street Mission website, ysm.ca/donate. In the donation form there is a question “What prompted your decision to donate today?”, please select “Other” and type Jubilee Designs in the free form box (otherwise we won’t know it’s through us). 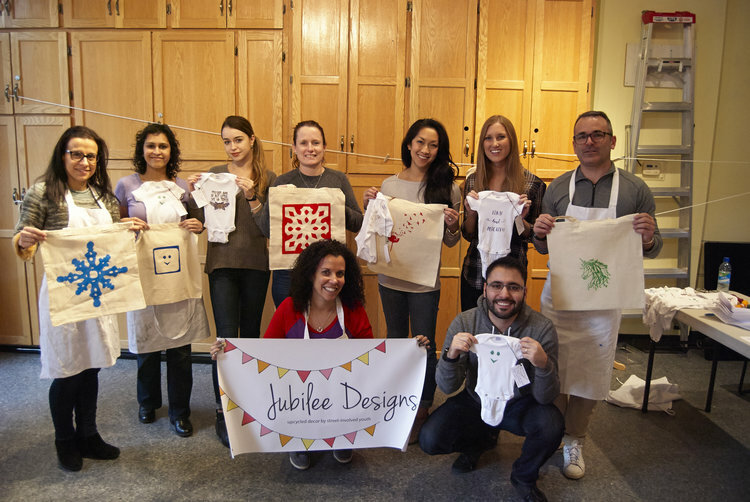 Jubilee Designs employs homeless and at-risk youth to lead workshops as well as create handmade, one of a kind products. The work with their youth employees on their personal and professional goals while giving them employment experience in a positive and familiar environment. Their goal is to encourage natural talents while also helping our employees gather skills and experiences that will help them excel in the workforce. Check out the youth testimonials on their website. Rob Vanderveer is a familiar face at the Evergreen Centre’s art room. 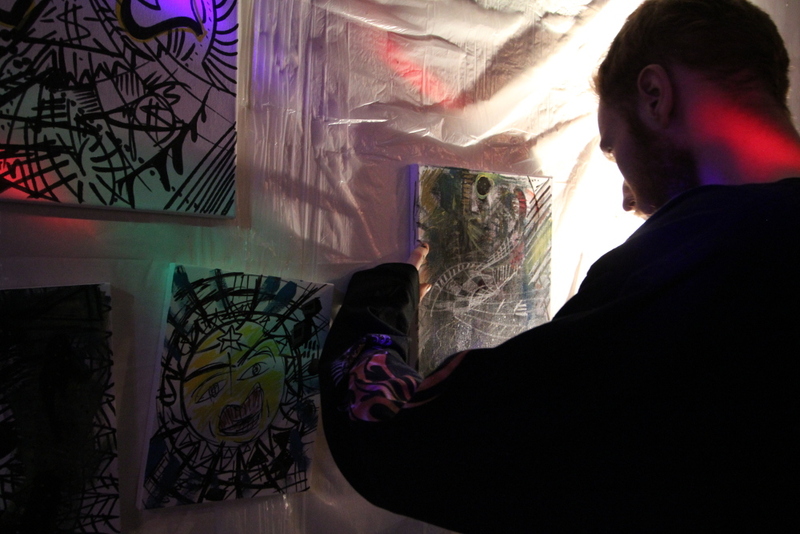 He is a graffiti artist and loves painting in different media. Joining us for the third year in a row, Rob will be doing live grafitti painting at PULP : art party 2019 on reclaimed materials. This is the fourth year PULP will be contributing funds to and working with YSM Evergreen Centre for Street Youth. So far, PULP raised over $5000 for the centre. In the summer of 2016, Art Director Sharon Abel, Marketing & Administration Coordinator Ainsley Boyd, and Supervisor Aleke Dekker started work on the project. 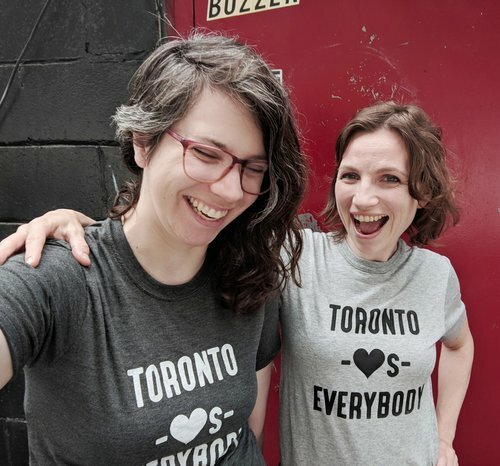 Using PULP’s donation they were able to launch a pilot project to create a social enterprise out of Evergreen: Jubilee Designs. This is a design and decor business idea that is founded on the creativity and resilience of the centre’s youth. Youth are able to focus on their primary goals such as mental health or housing stability, while working a few hours a week in a supportive and creative environment. They create beautiful decorations and accessories using discarded and re-purposed material, which are sold on their website. Sign-up now to hear about PULP : art party 2019! Don't miss the fun!